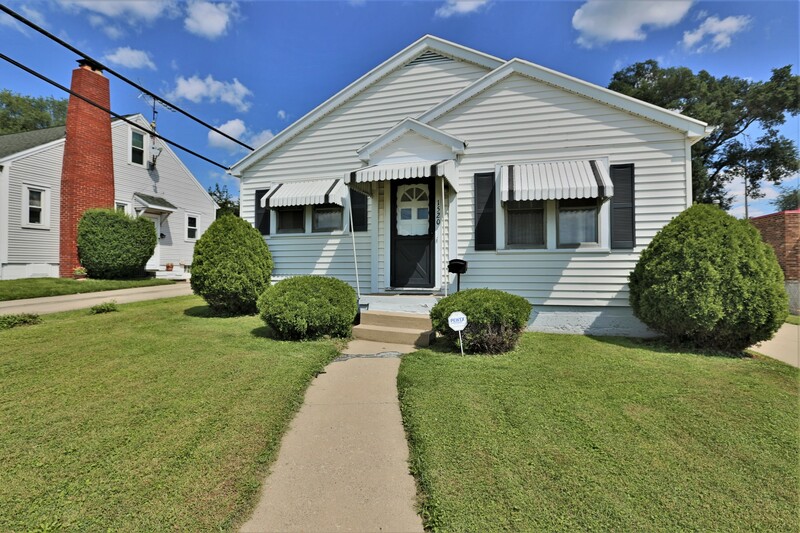 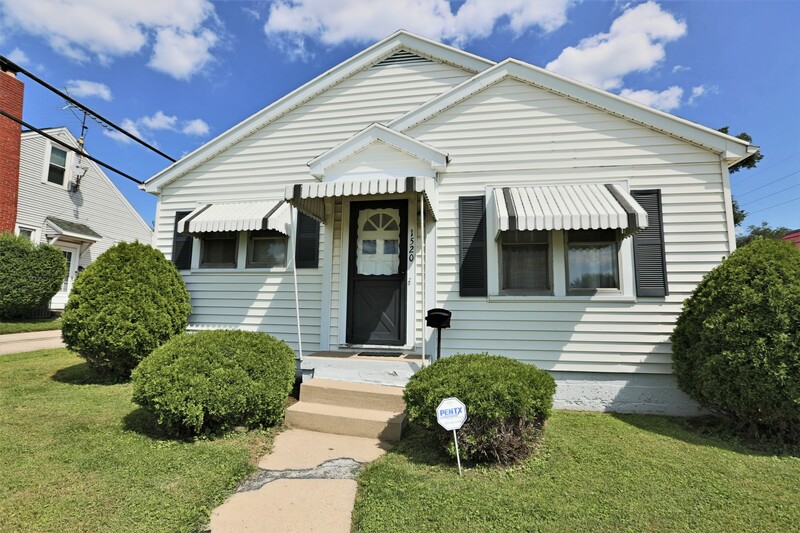 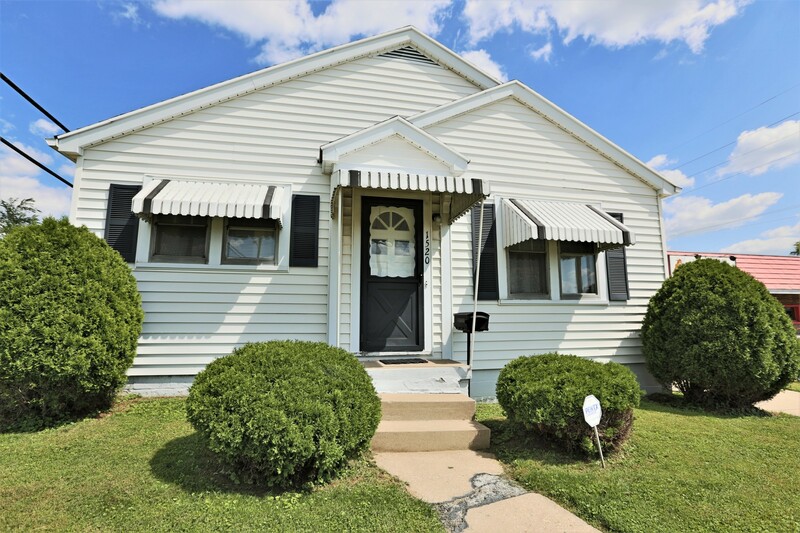 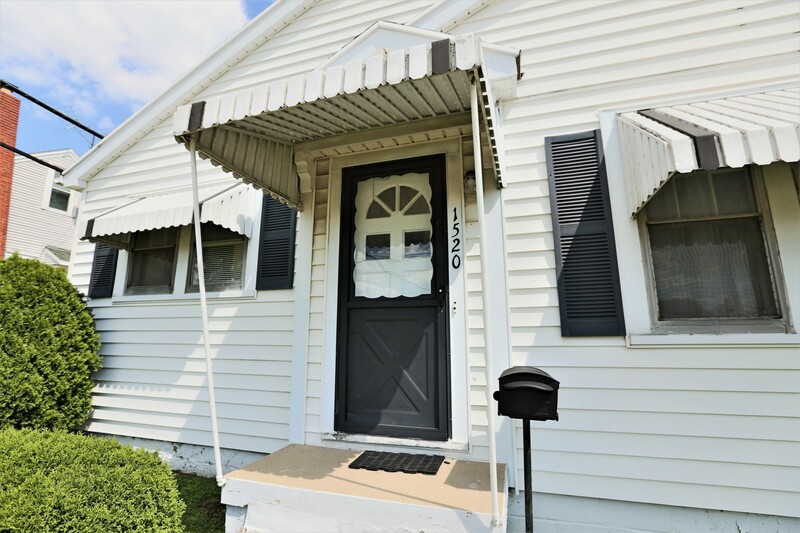 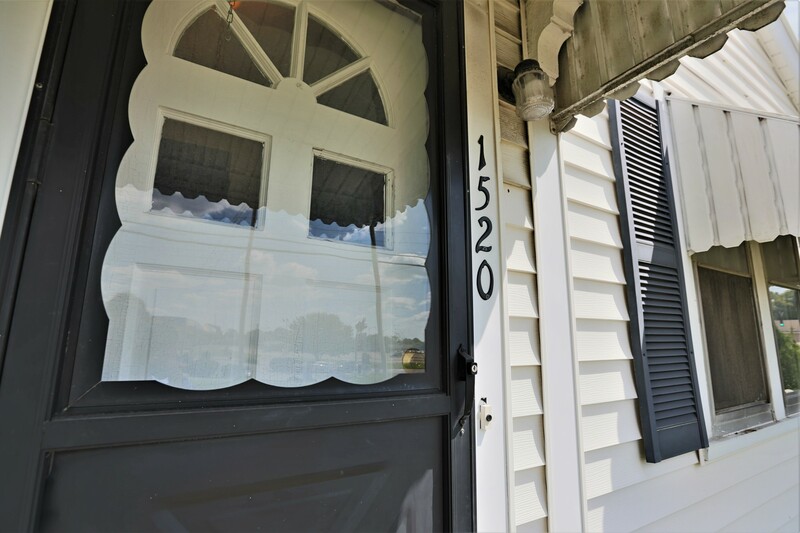 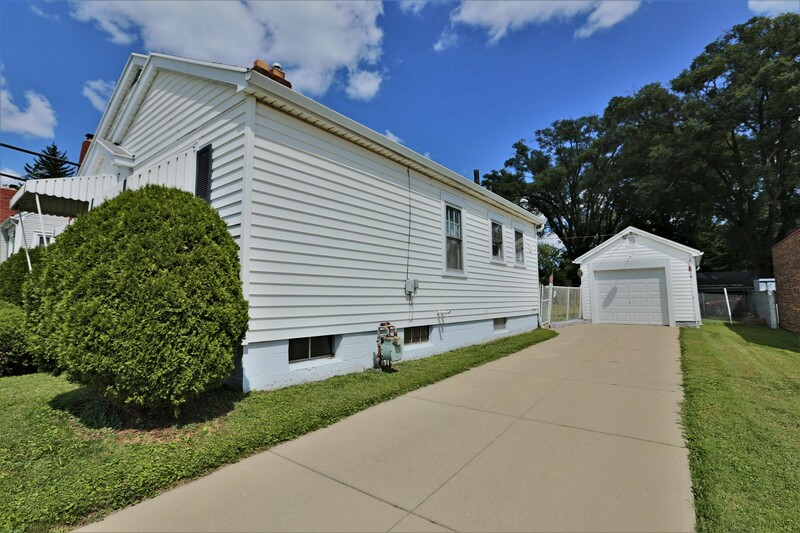 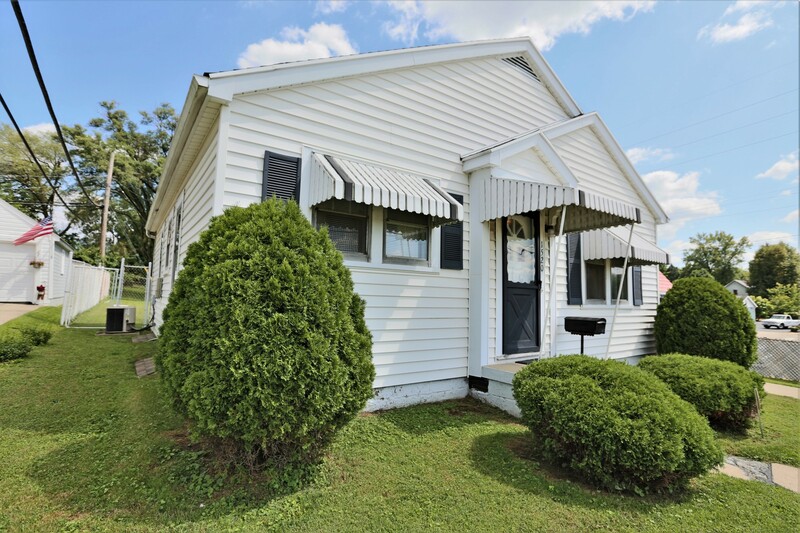 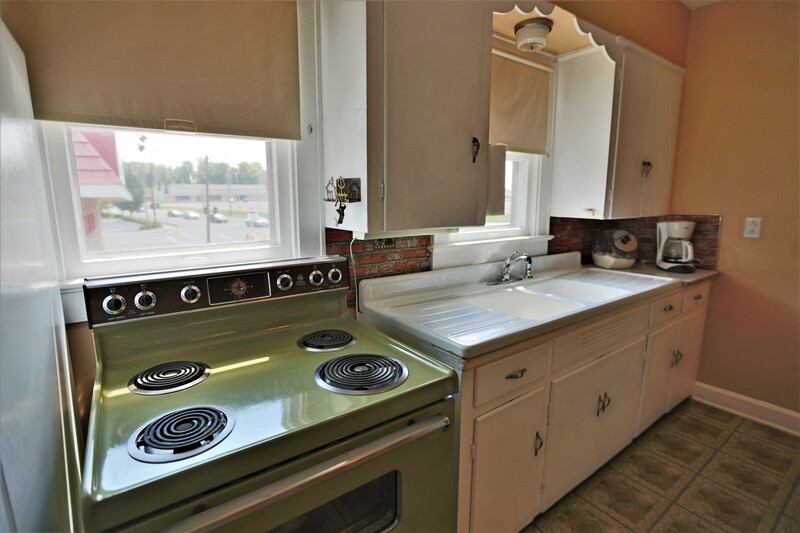 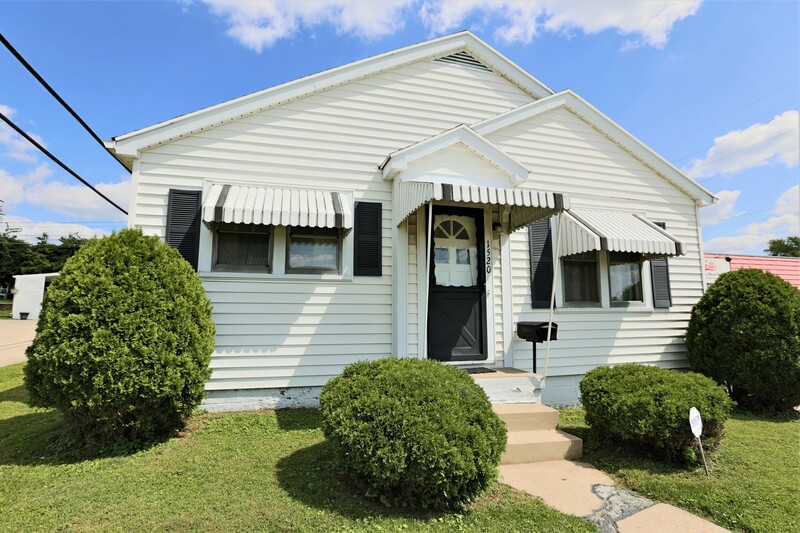 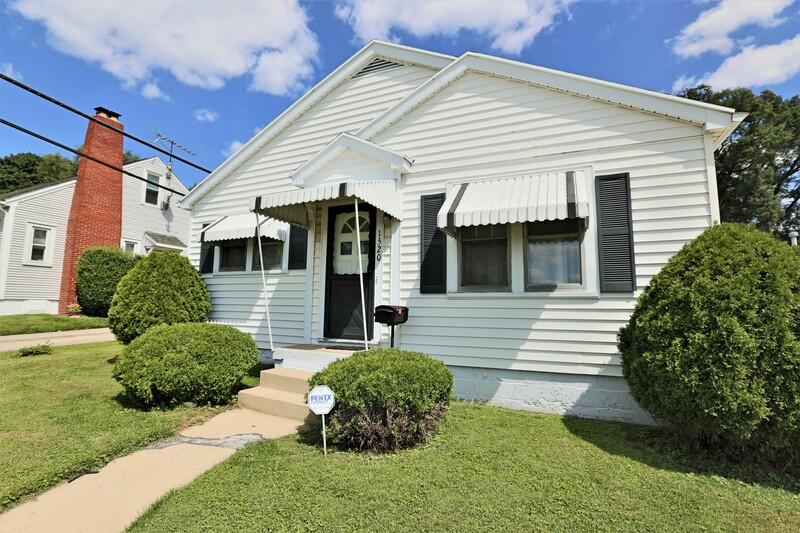 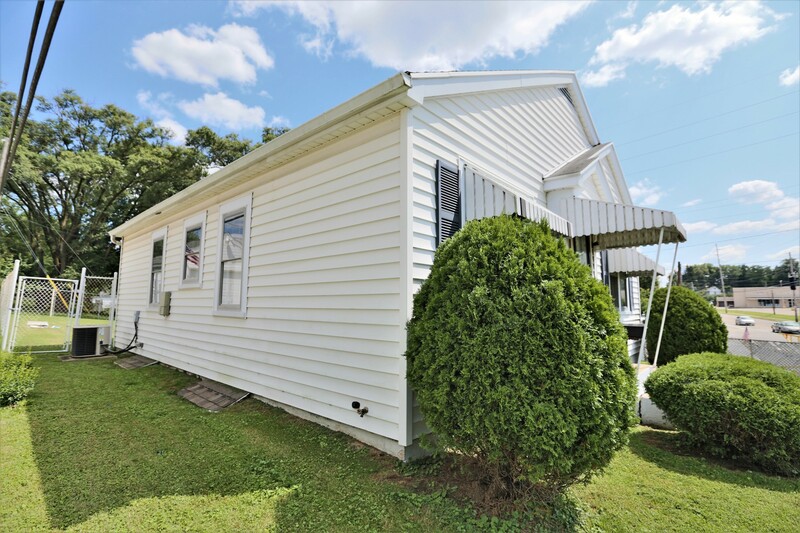 Lovely Bungalow Styled Home in Springfield! 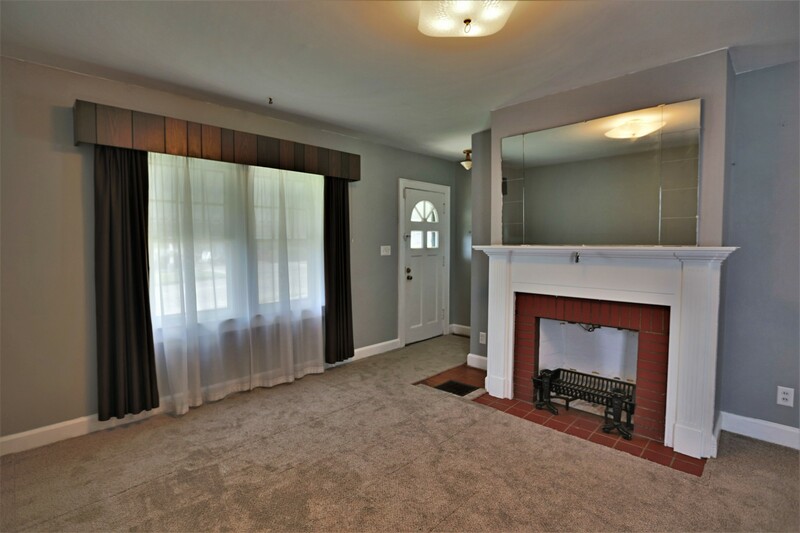 Welcome to this Beautiful Bungalow Style home loaded with exceptional features throughout. 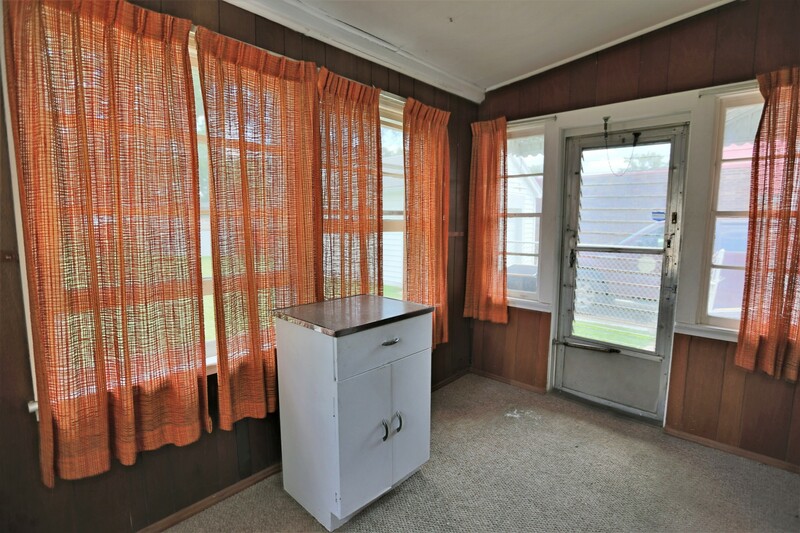 This home offers 2 Bedrooms, 1 Full Bathroom with 840 Sq. 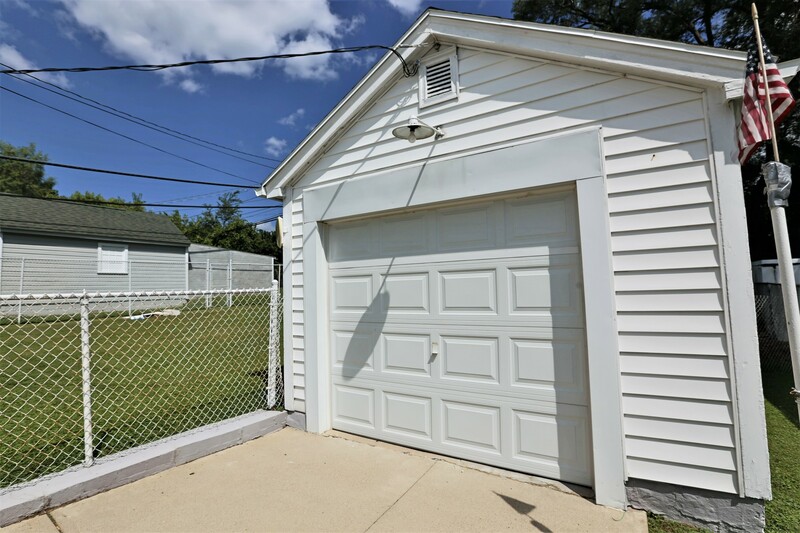 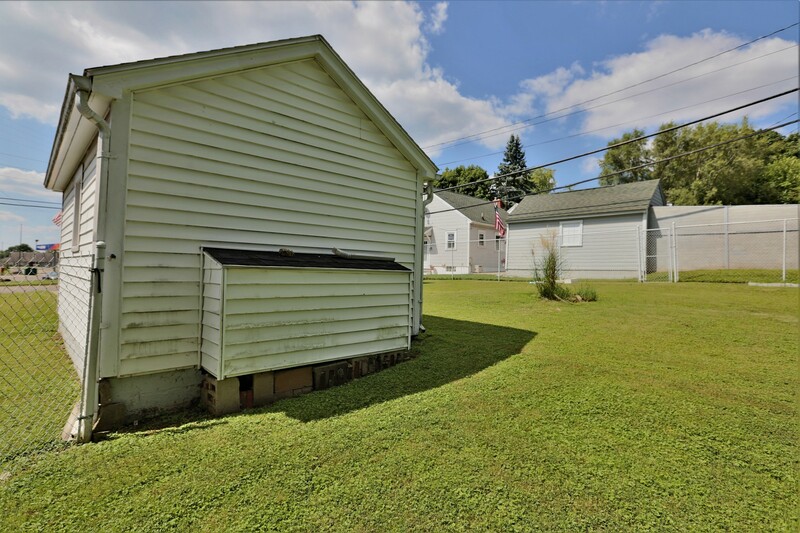 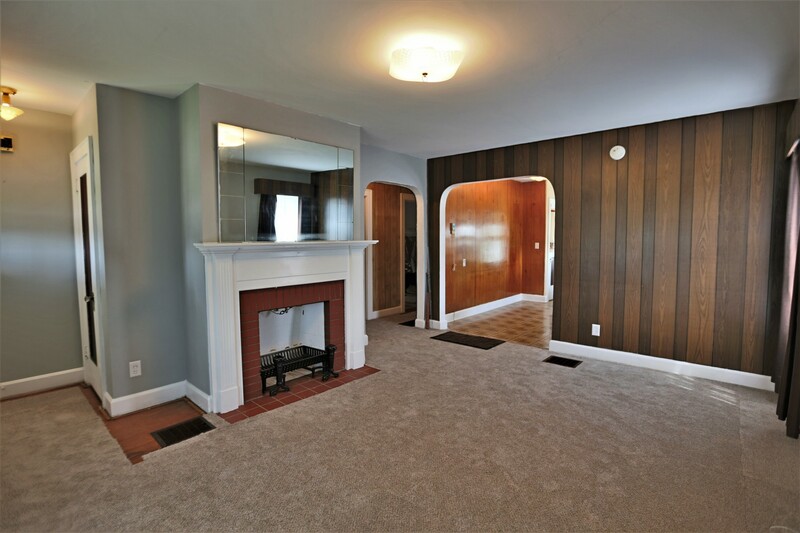 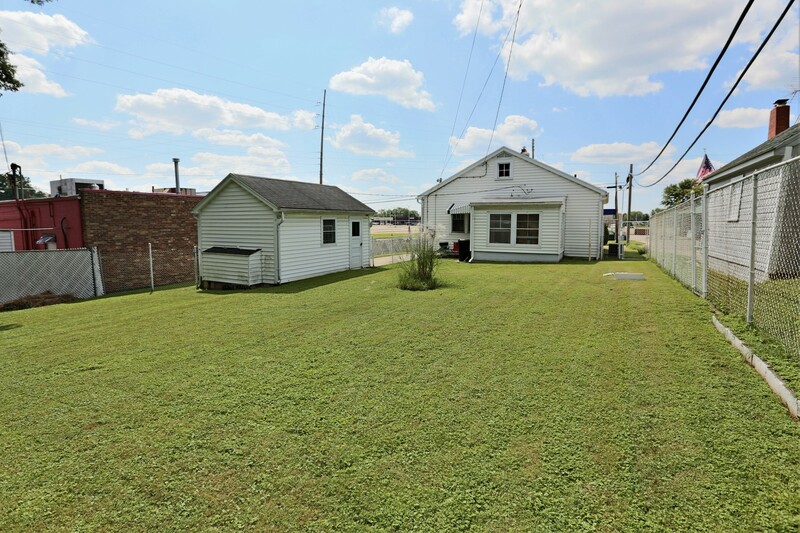 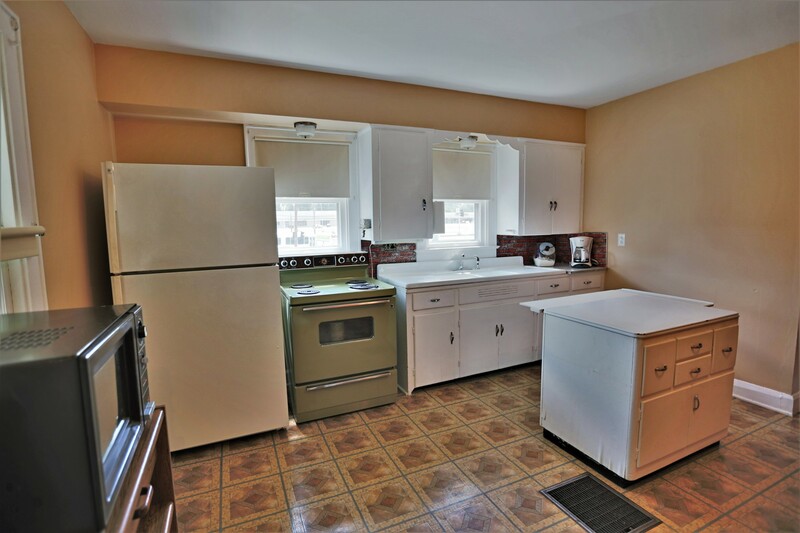 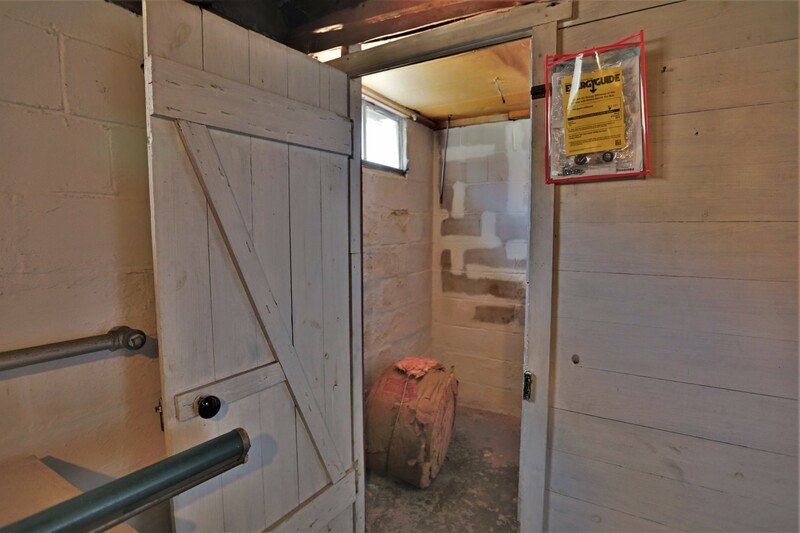 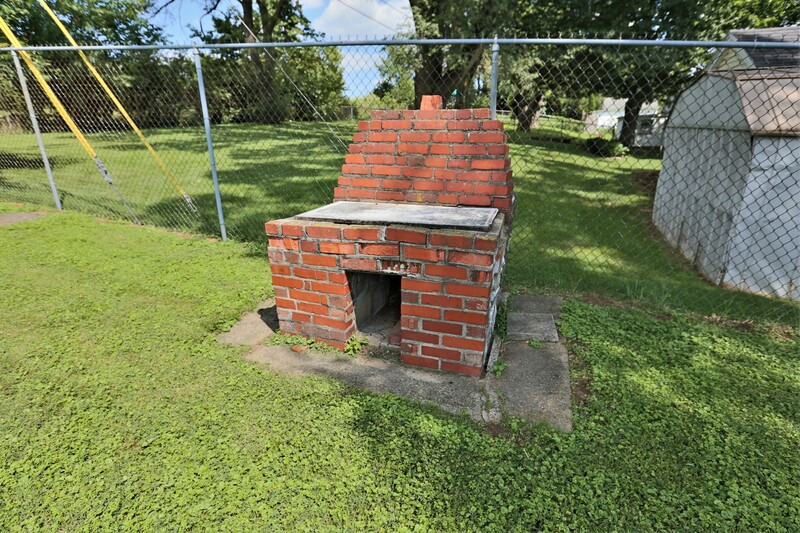 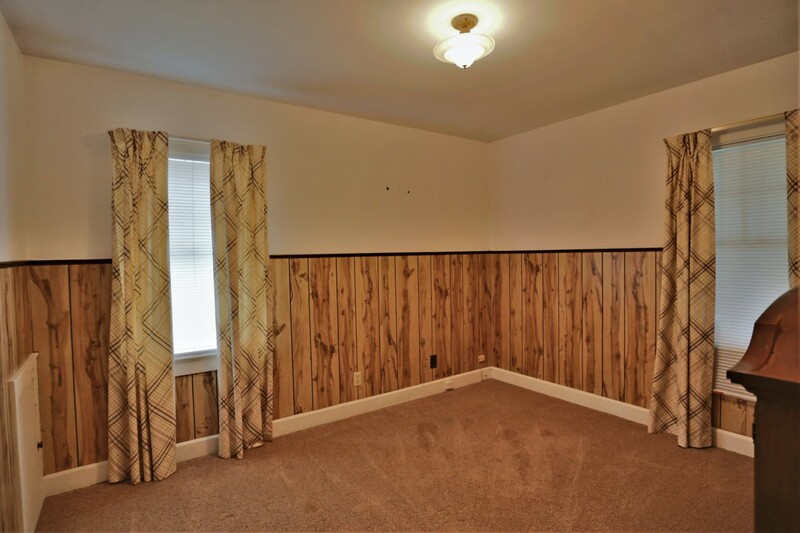 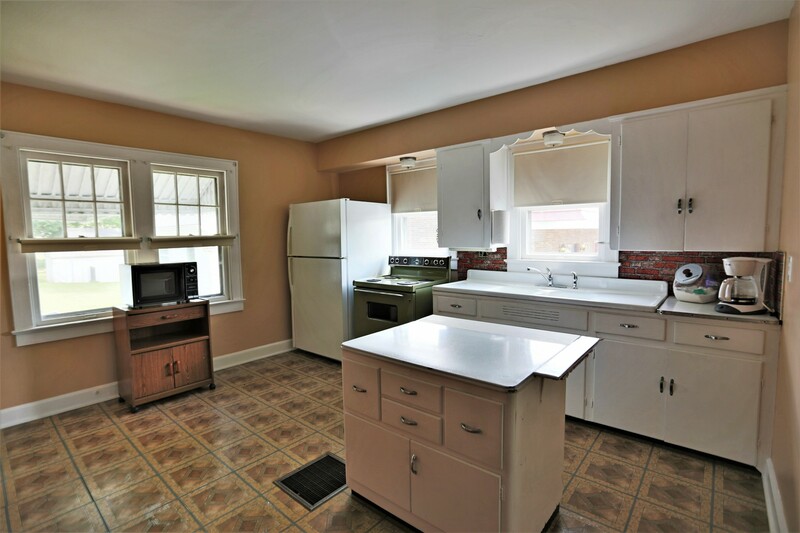 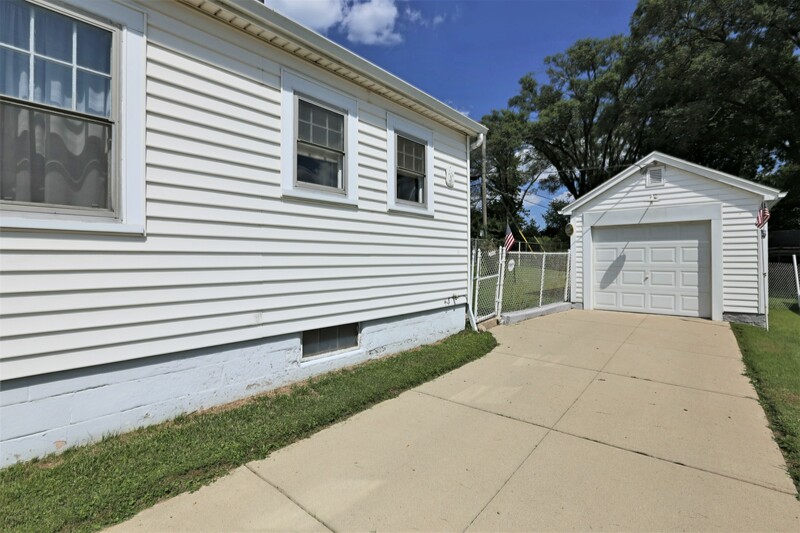 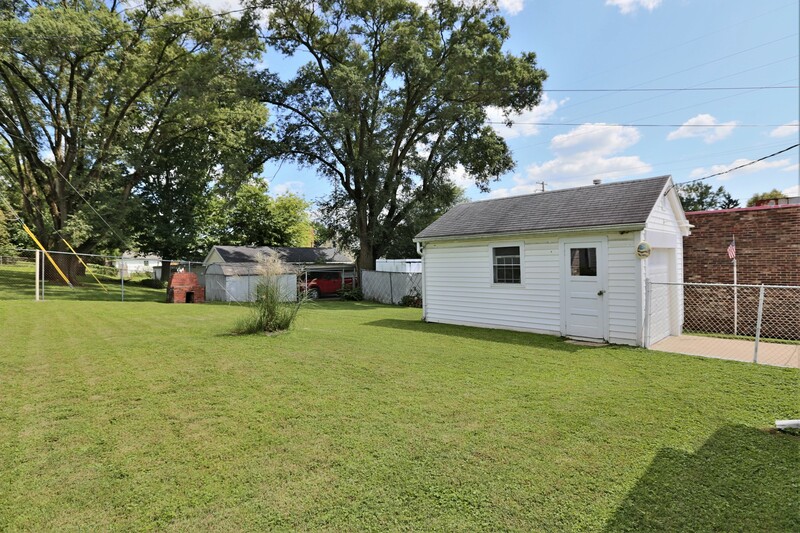 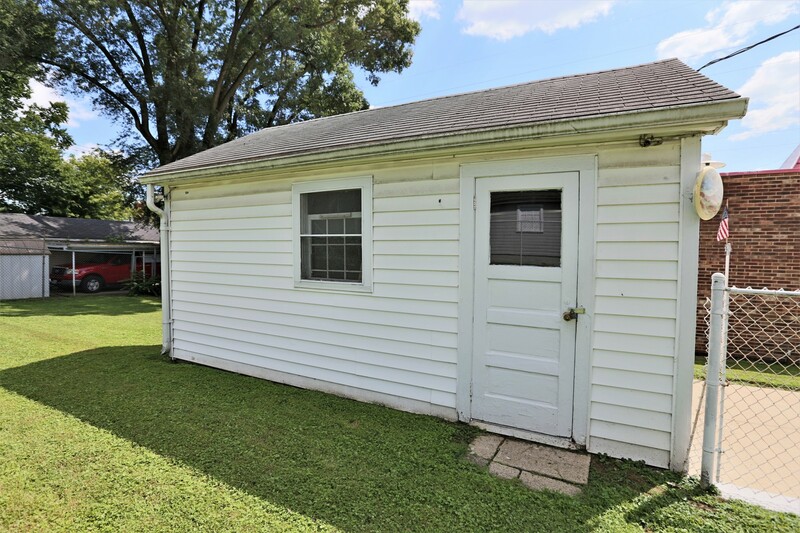 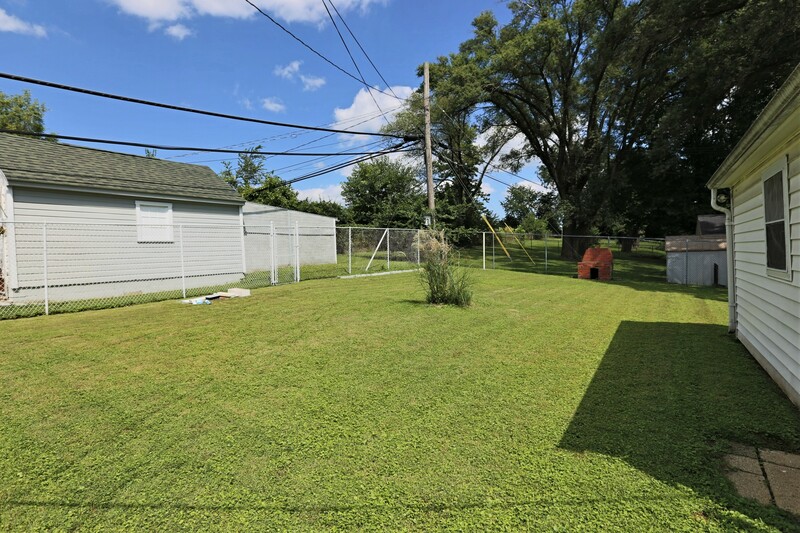 Ft of Living Space including a Full, Unfinished Basement & Huge Fenced-In Backyard! 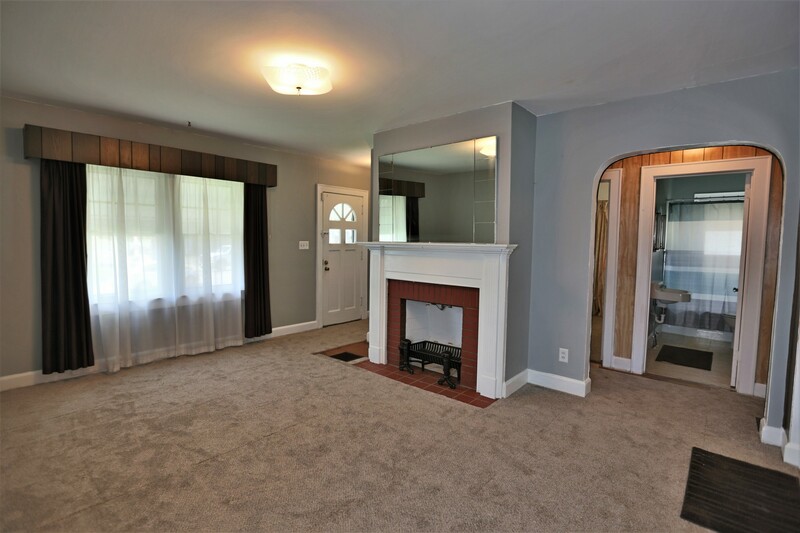 As you step through the front door you will be greeted by large windows & an open floor plan. 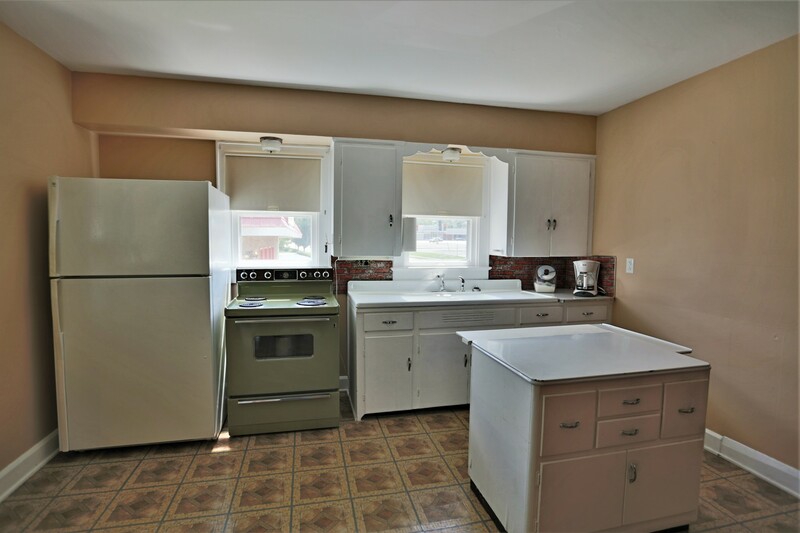 The spacious Eat-In Kitchen offers ample counter space, under cabinet lighting, double basin sink, plenty of natural window lighting & white custom cabinetry with crown molding for storage. 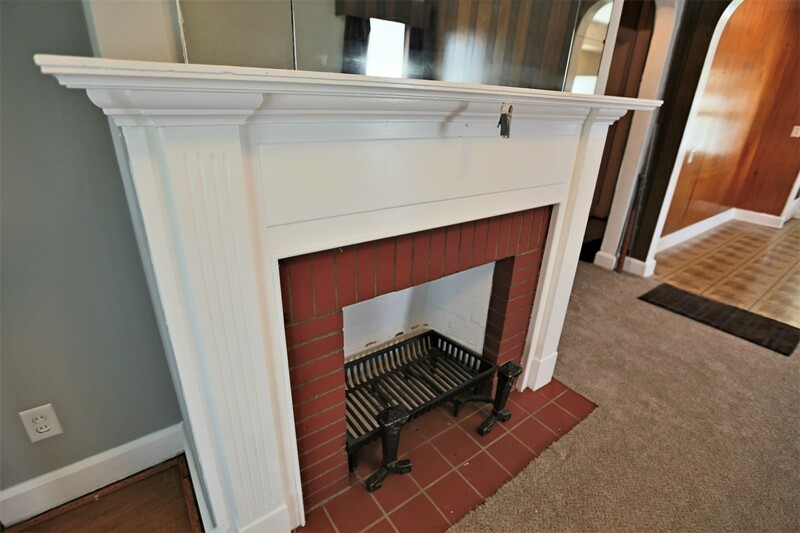 Walk into the Family Room that features a brick fireplace with custom mantel, wood panel walls and large windows that allow natural lighting to showcase the spaciousness this room has to offer. 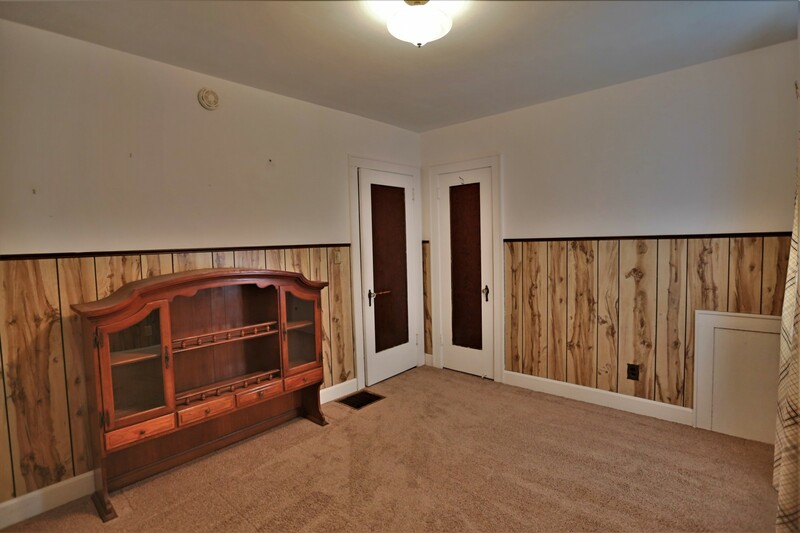 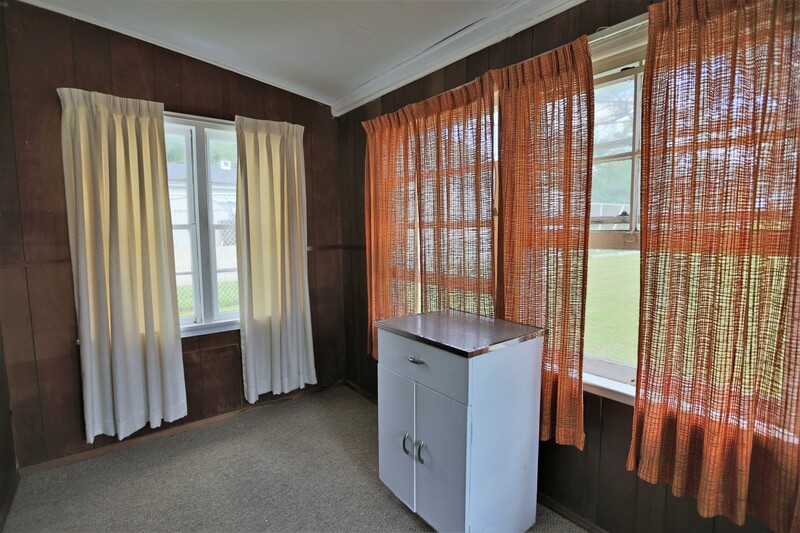 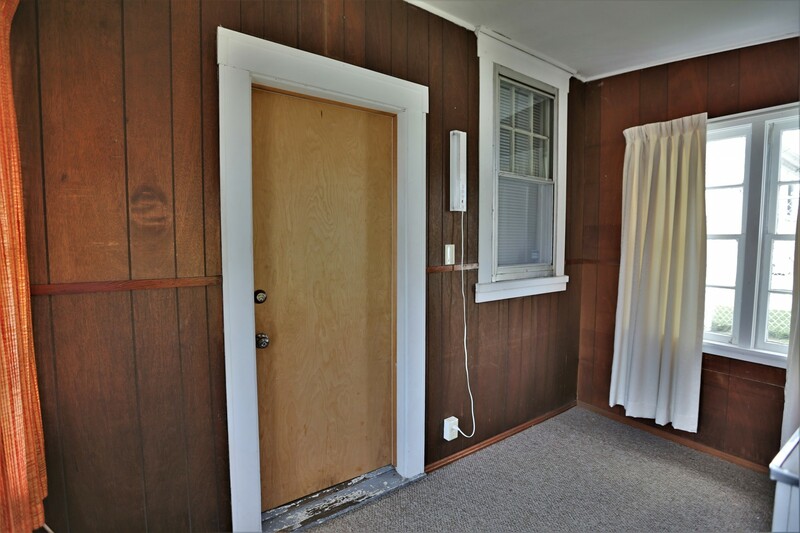 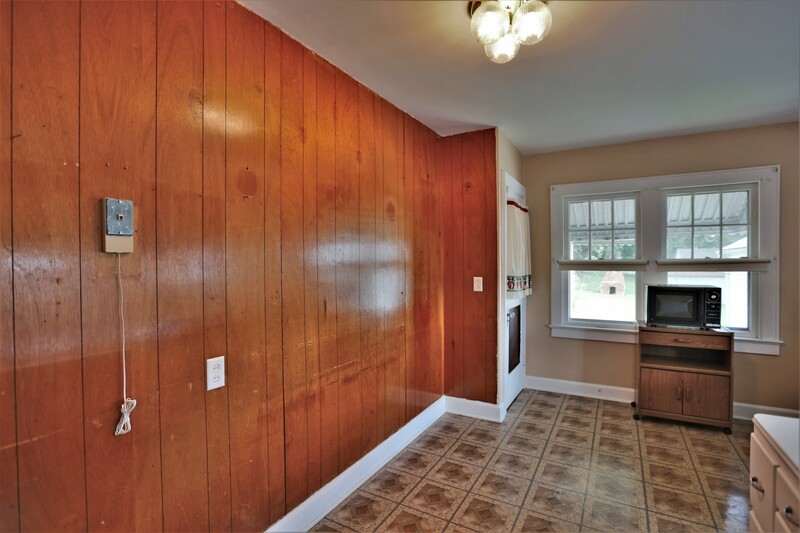 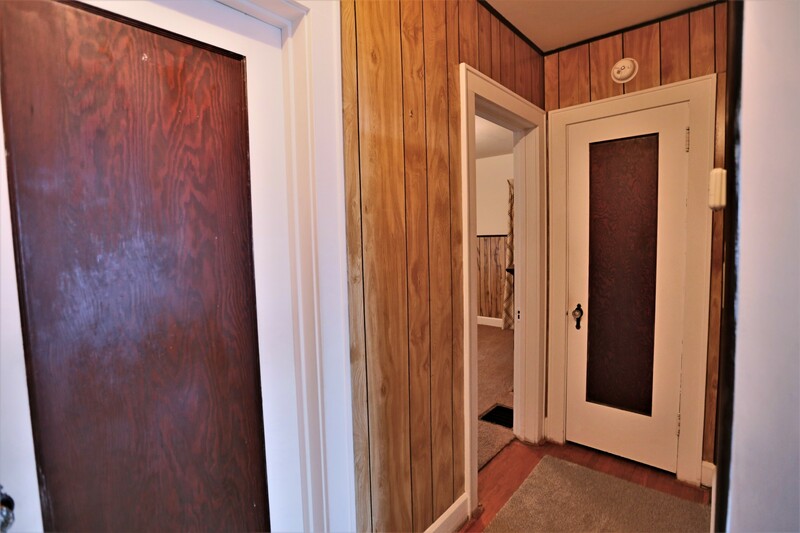 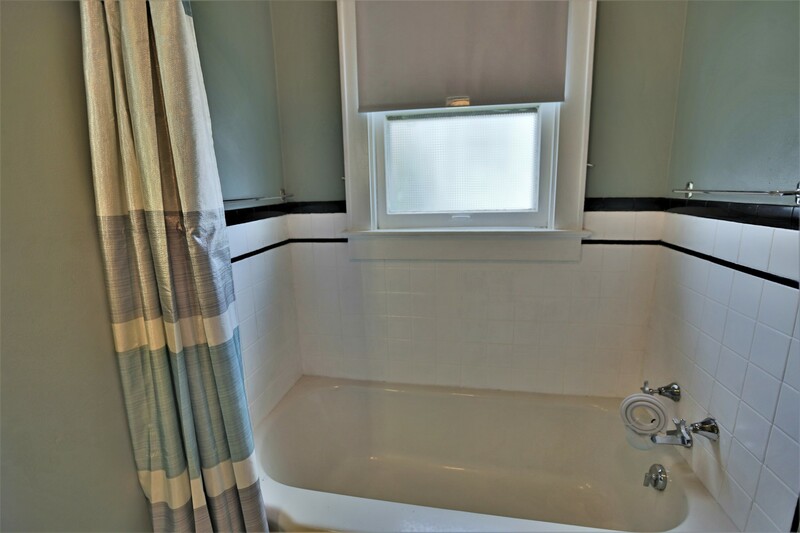 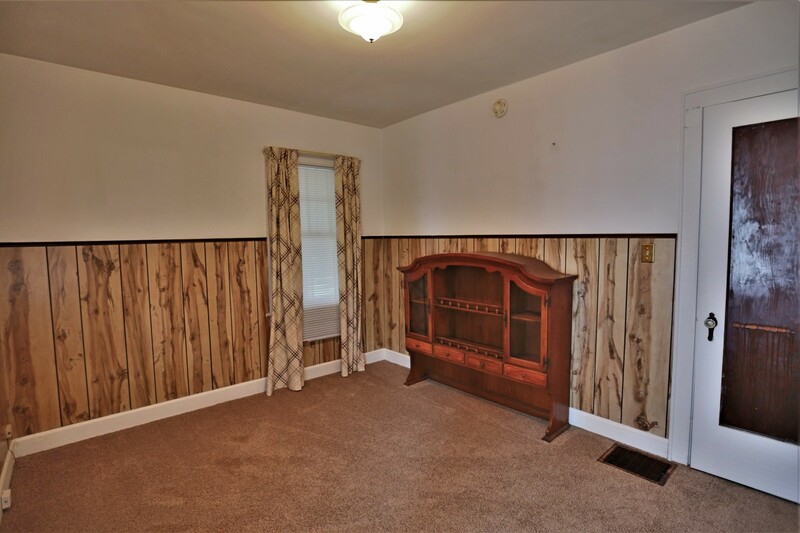 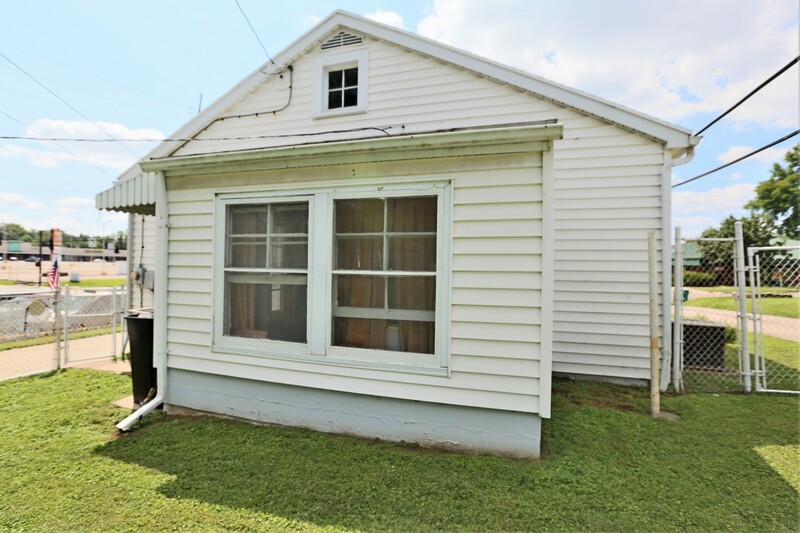 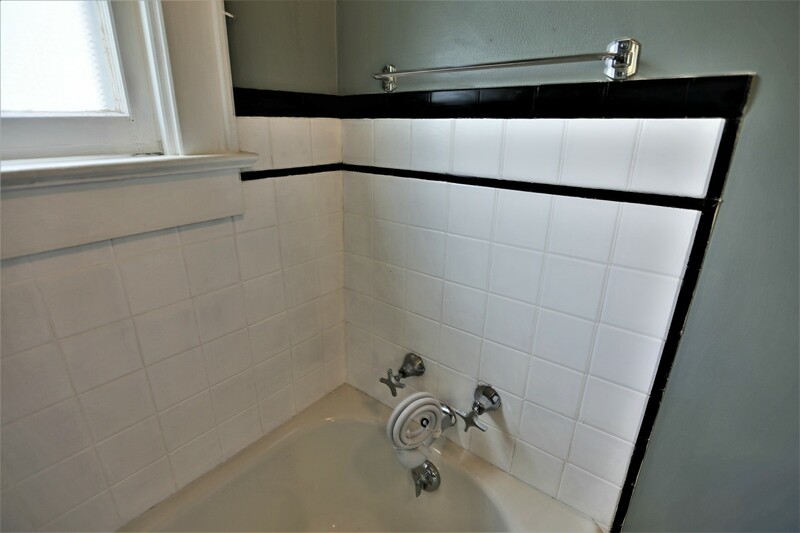 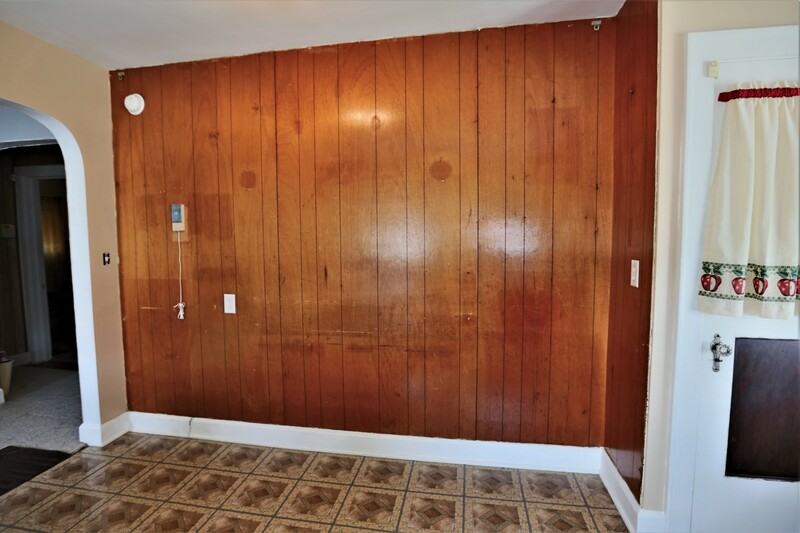 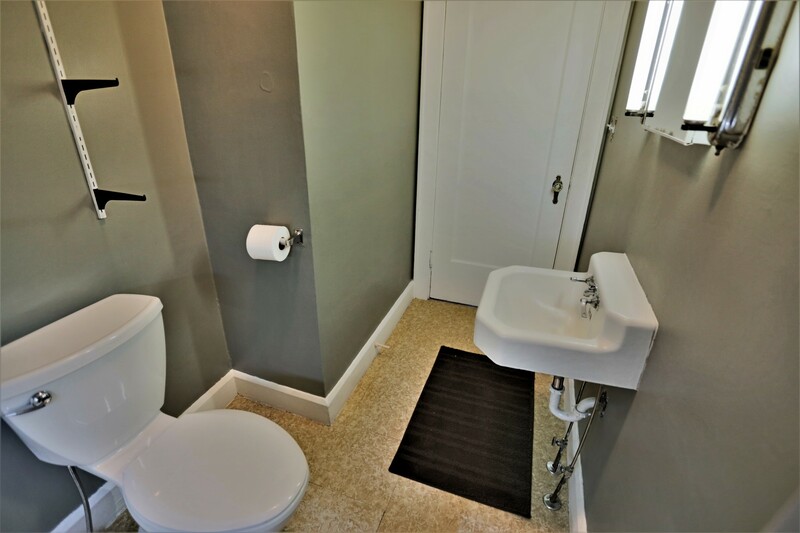 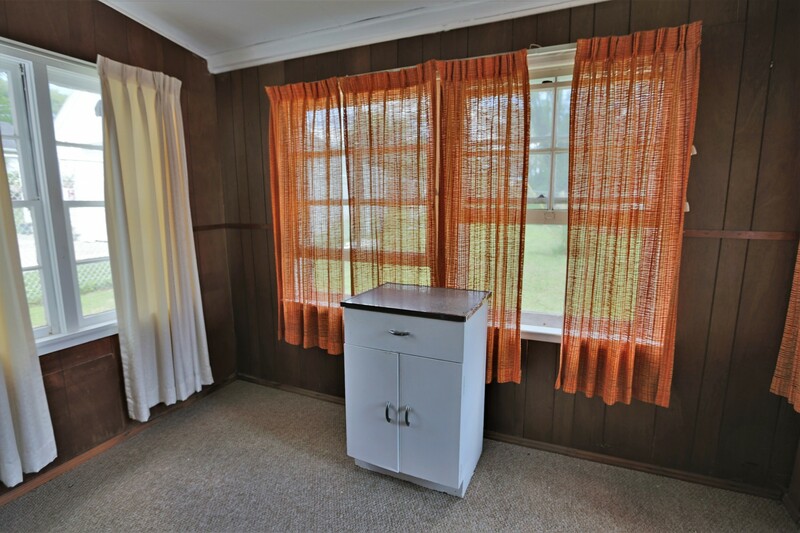 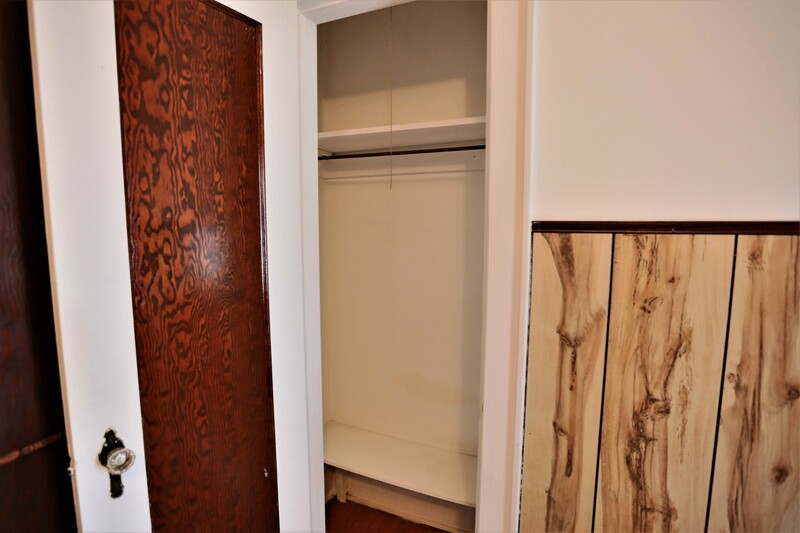 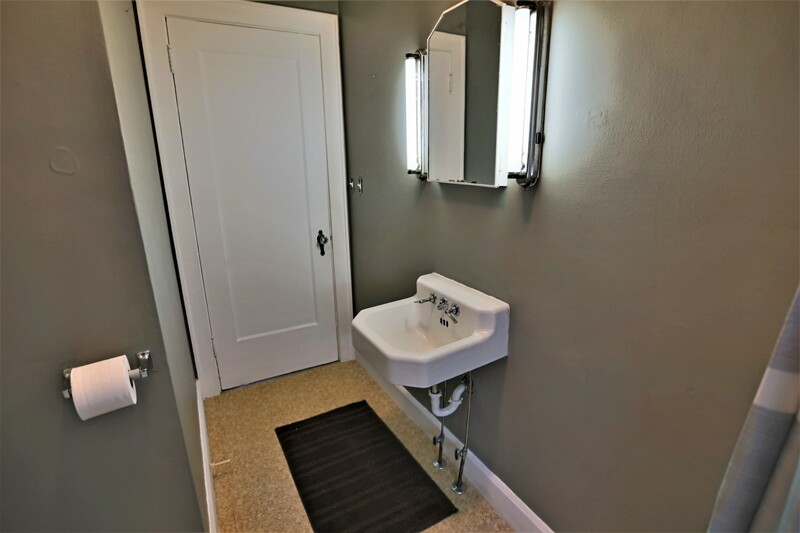 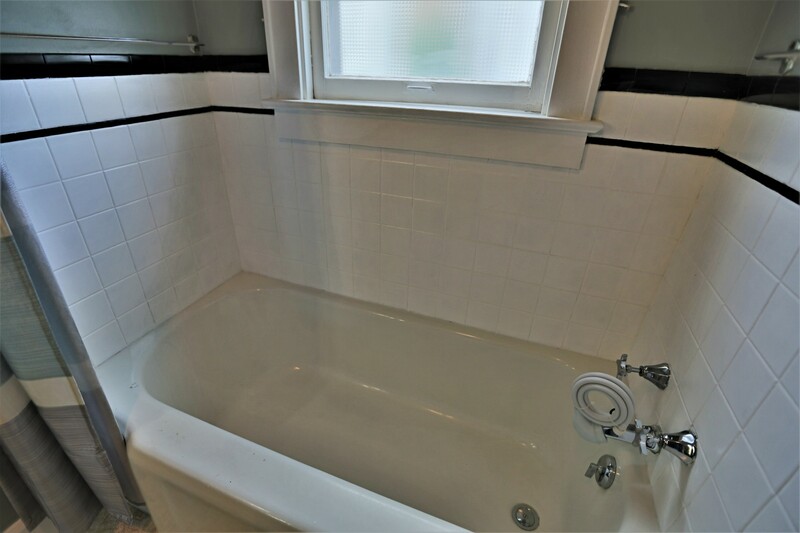 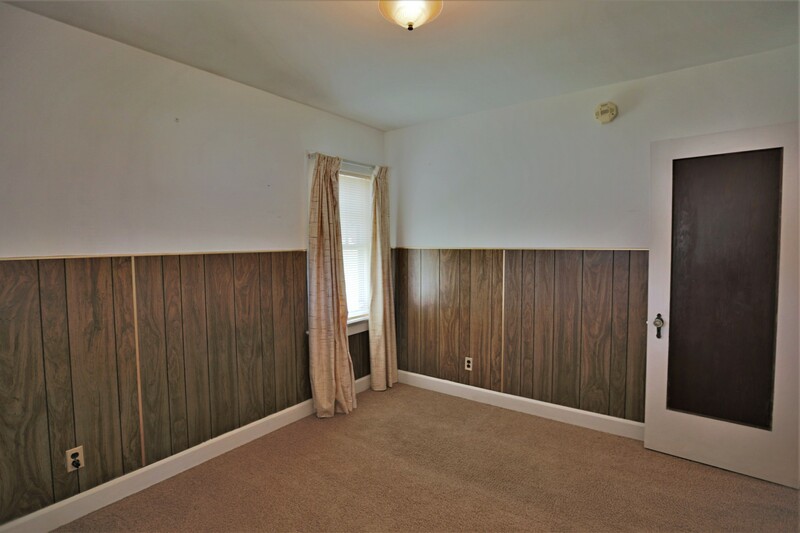 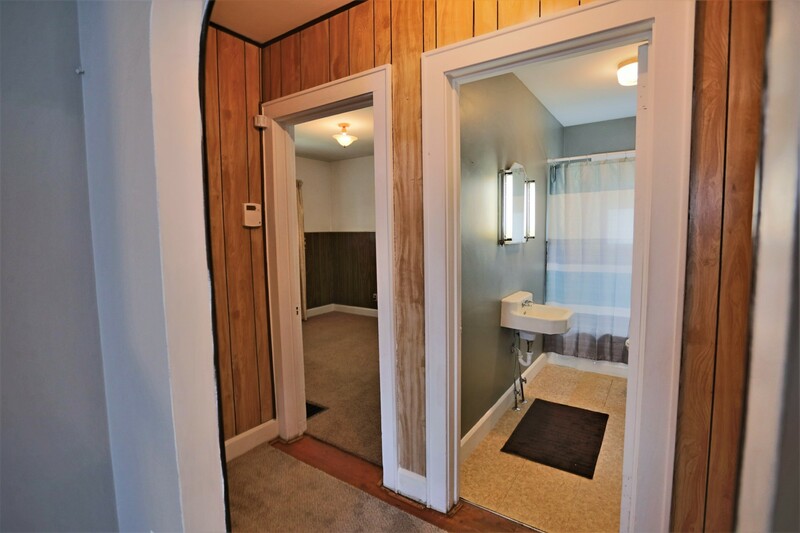 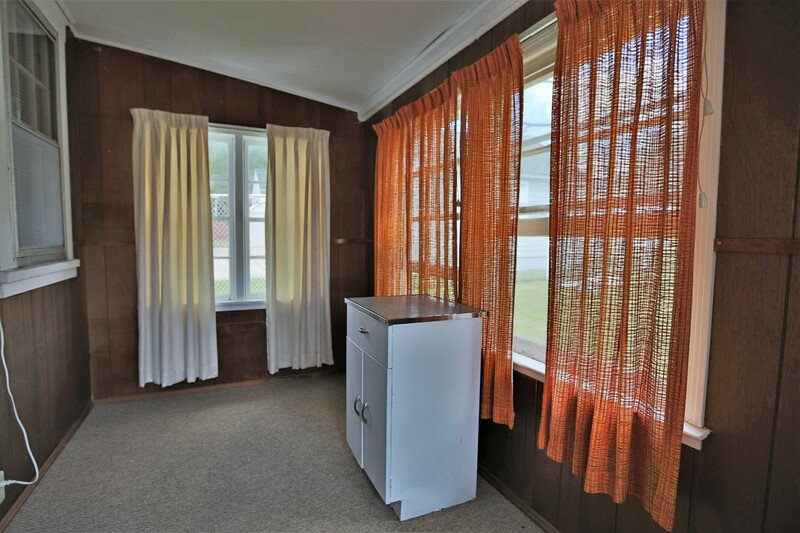 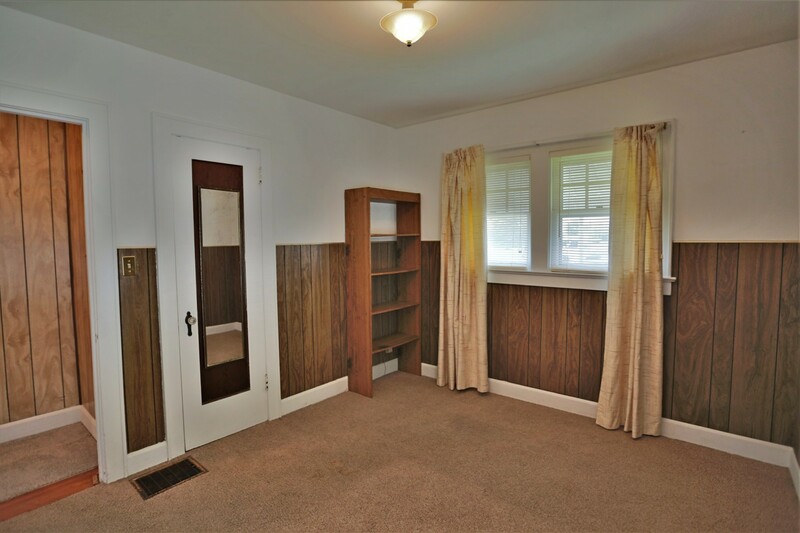 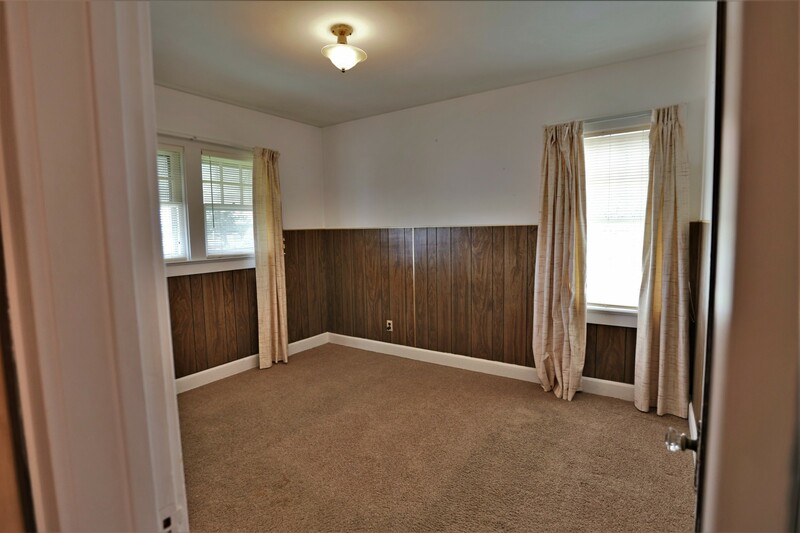 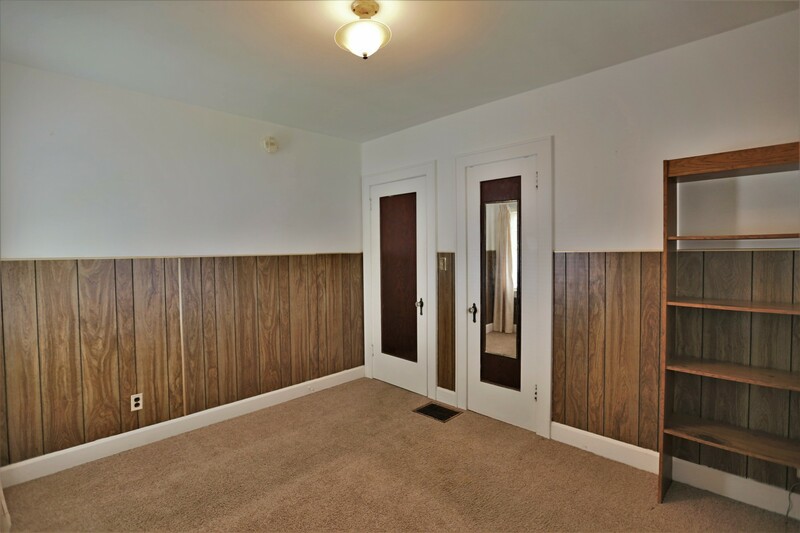 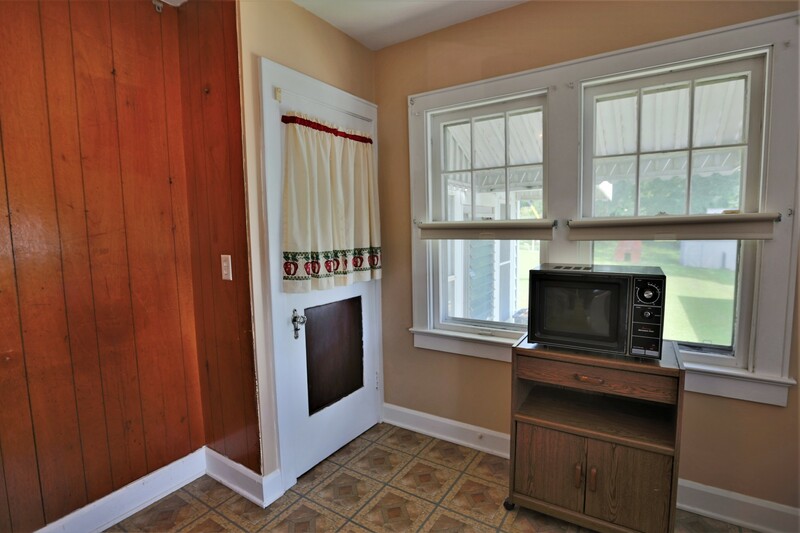 Around the corner, you will find two bedrooms with one full bathroom in between. 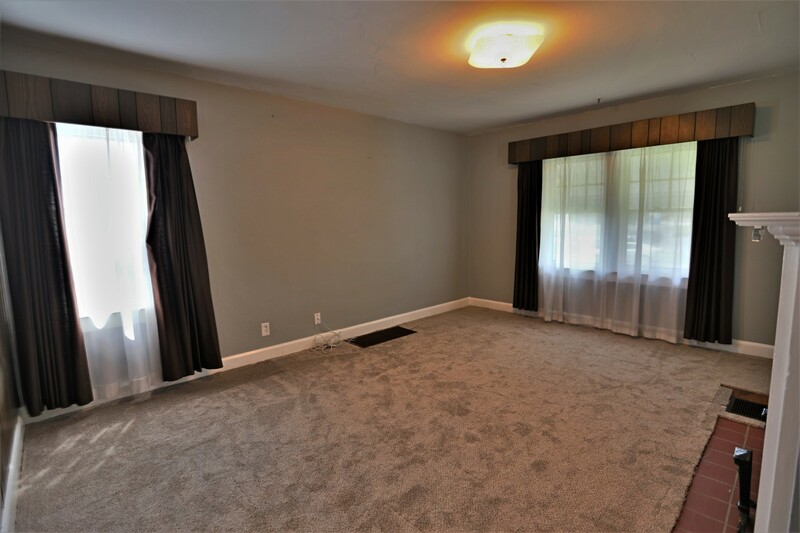 These spacious bedrooms offer tall windows with plenty of natural lighting, neutral carpeting, half wood panel walls & closet storage space. 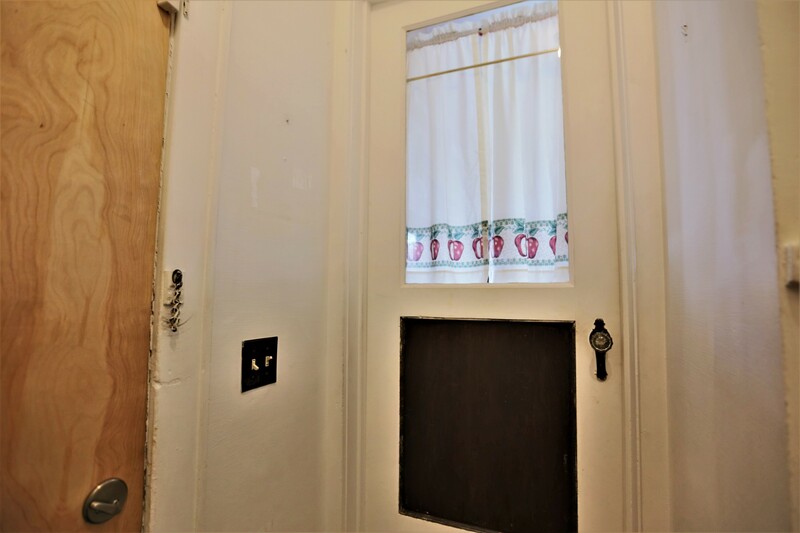 All bedroom doors, as well as the bathroom & kitchen entrance door feature beautiful original glass door knobs. 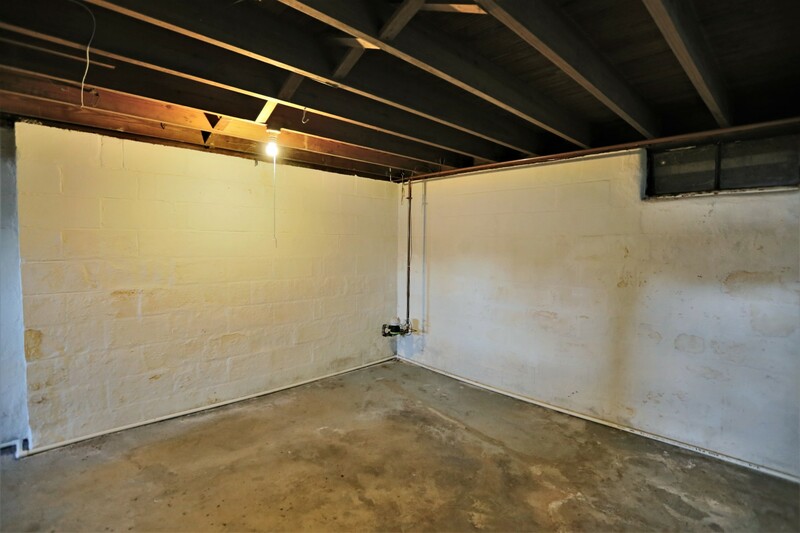 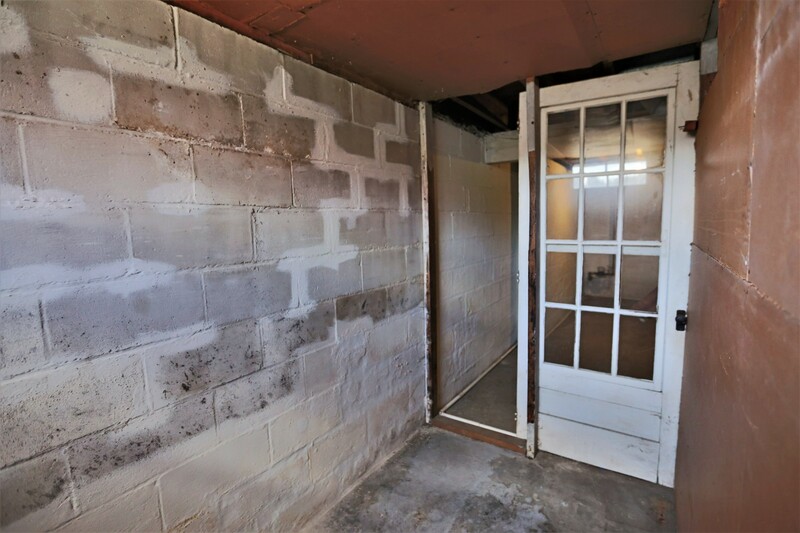 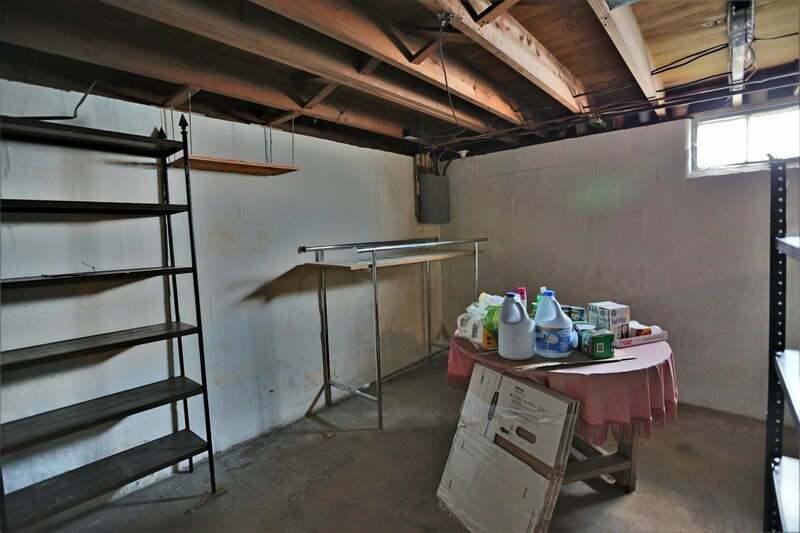 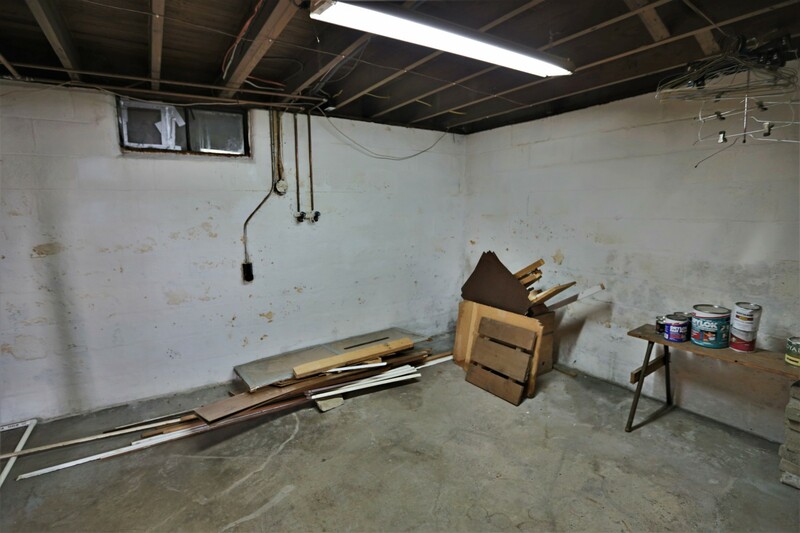 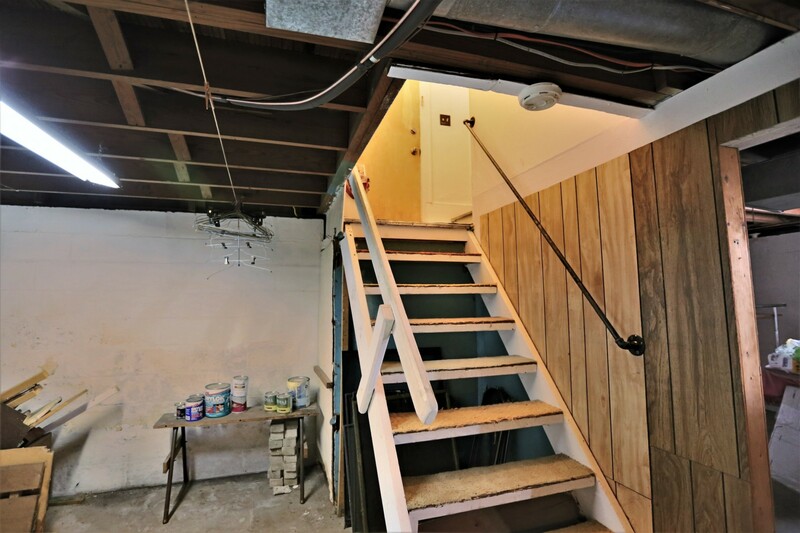 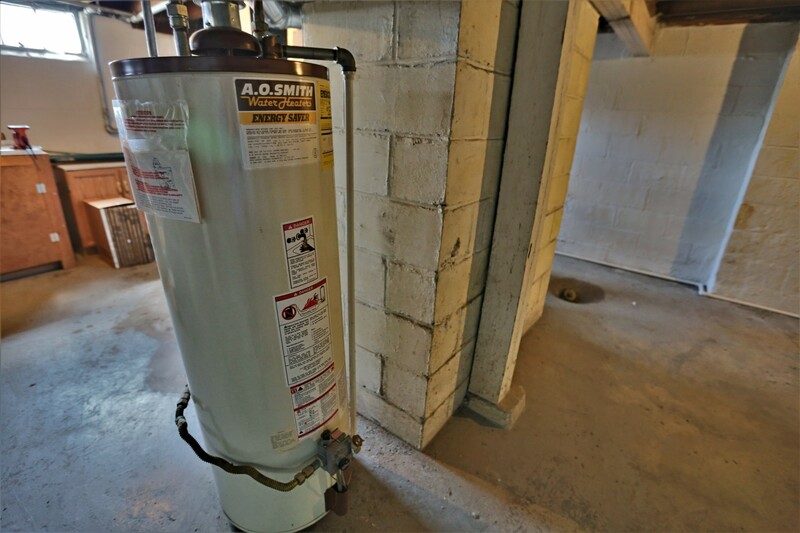 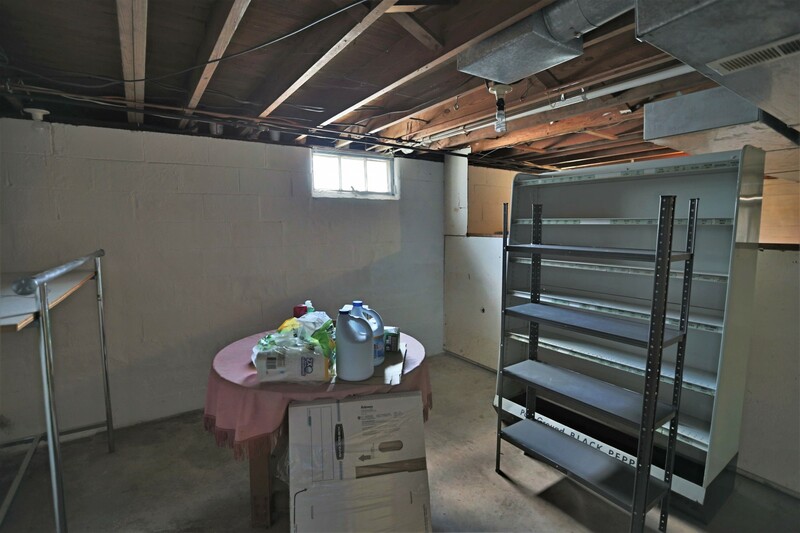 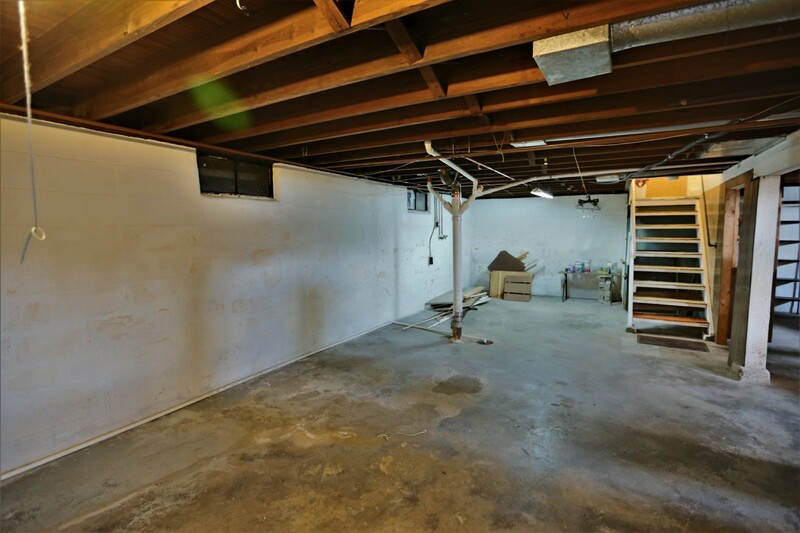 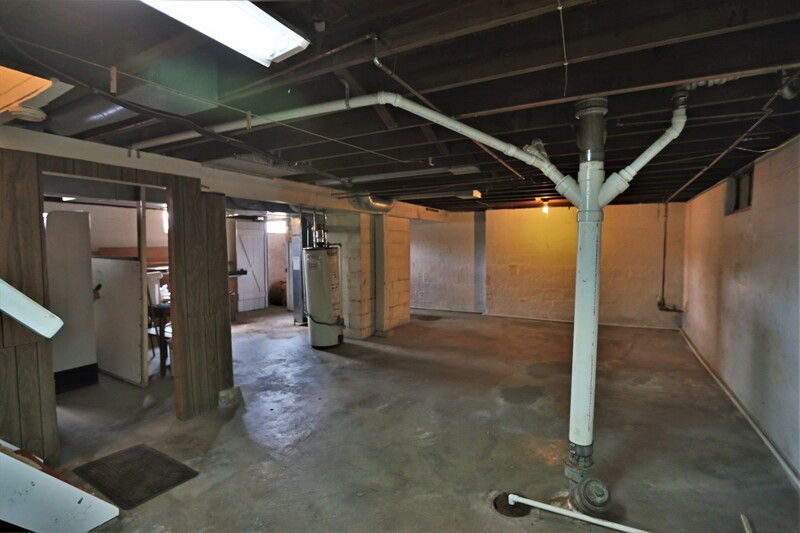 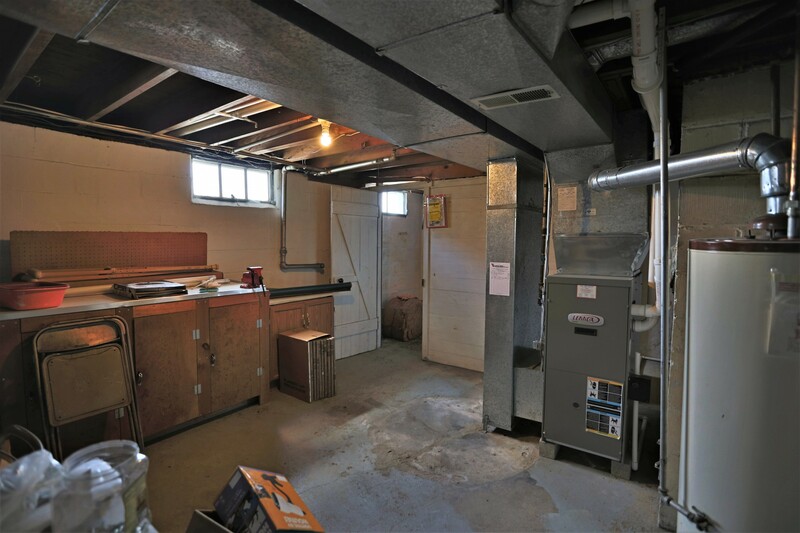 The Full, Unfinished Basement provides endless possibilities with the large amount of space it offers! 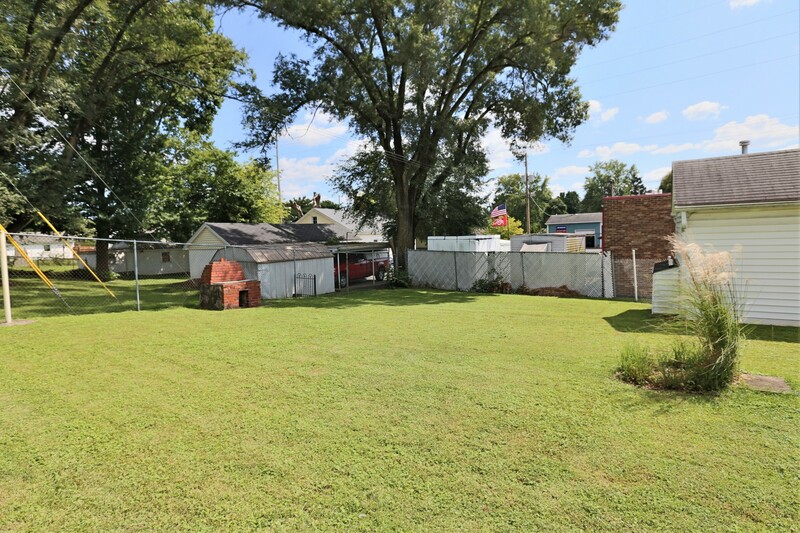 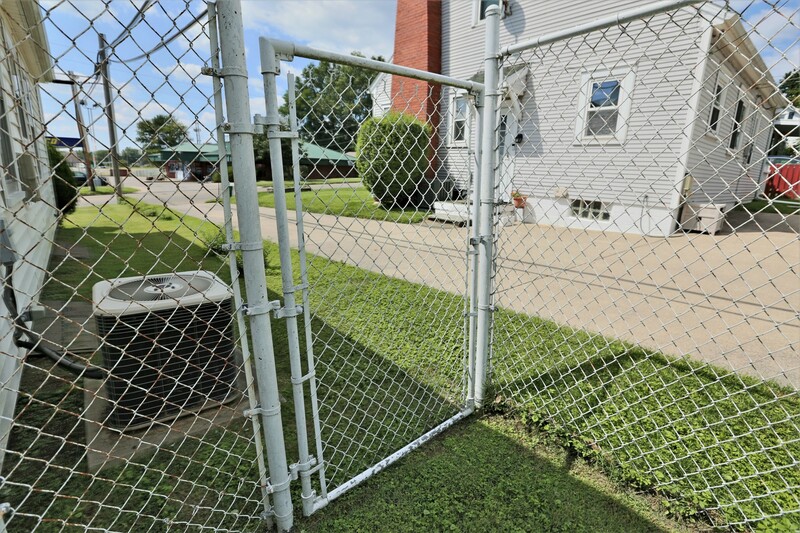 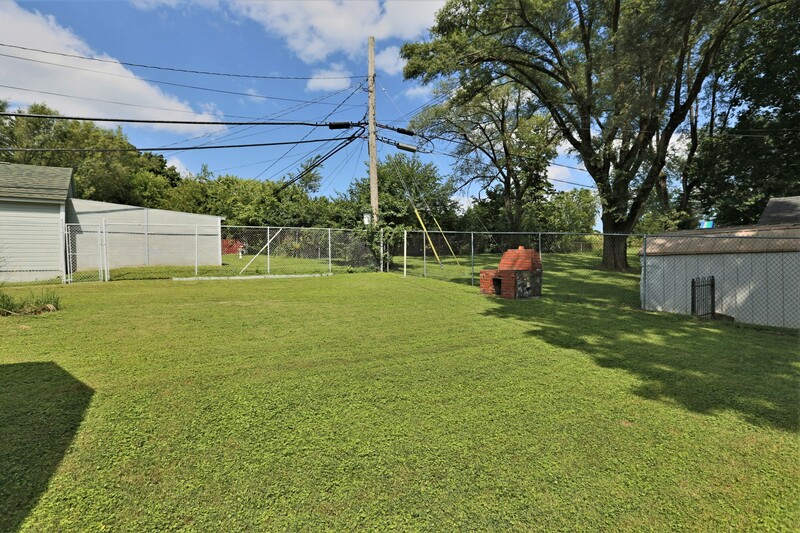 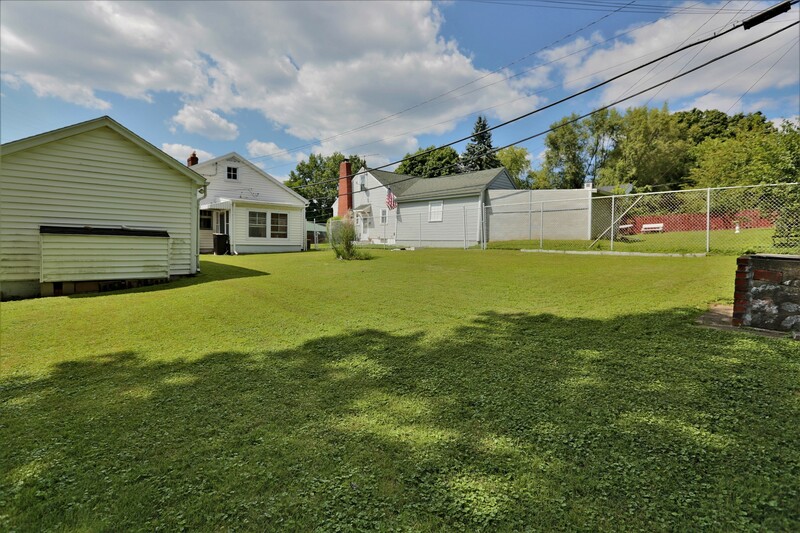 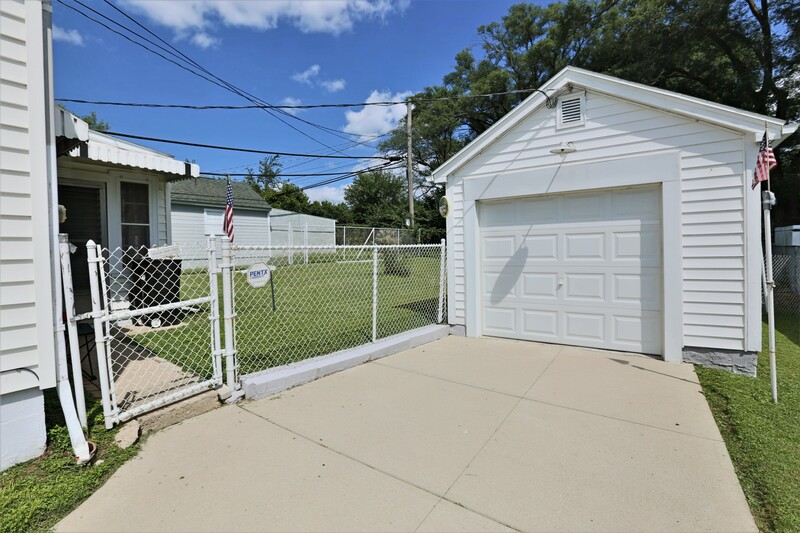 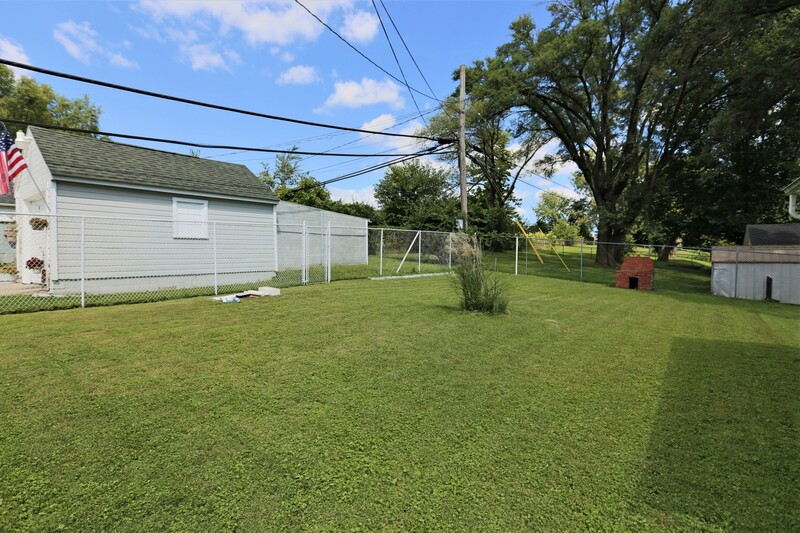 The Huge Fenced-In Backyard is beautiful with plenty of green space for outside entertainment and child's play. 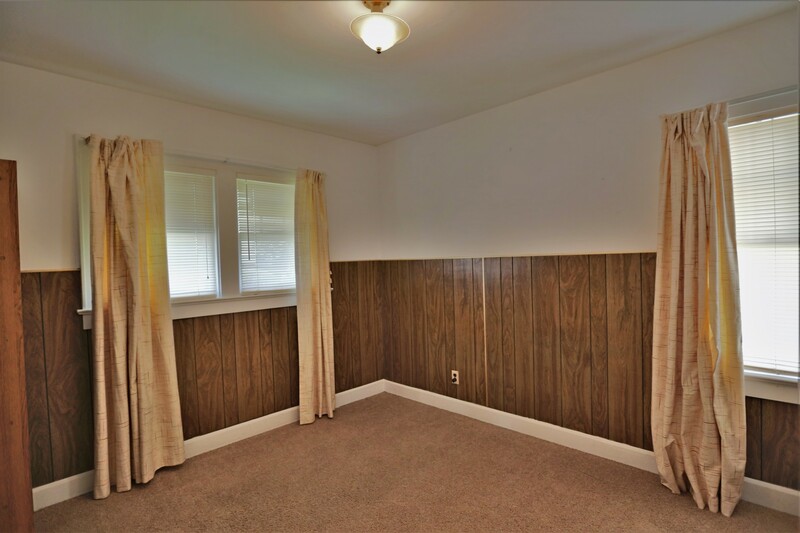 When you're not spending your evenings entertaining outside, you will appreciate the spacious Screened-In Patio with tall windows, carpeting & wood panel walls! 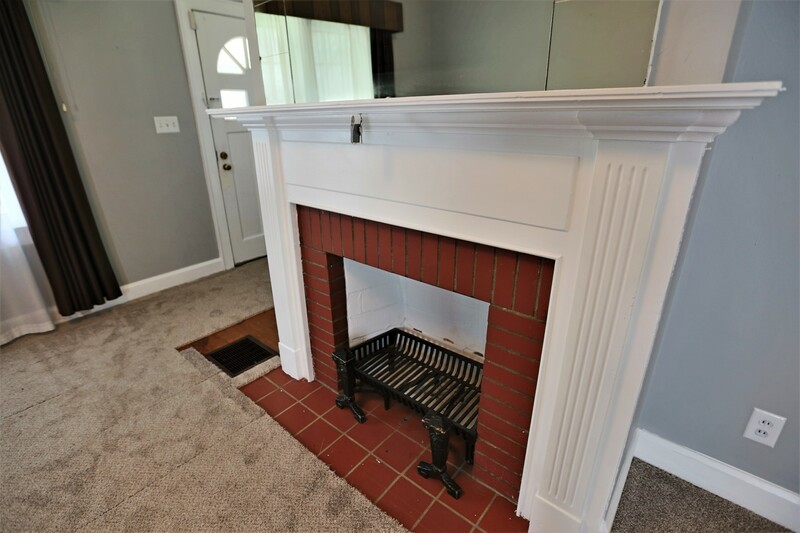 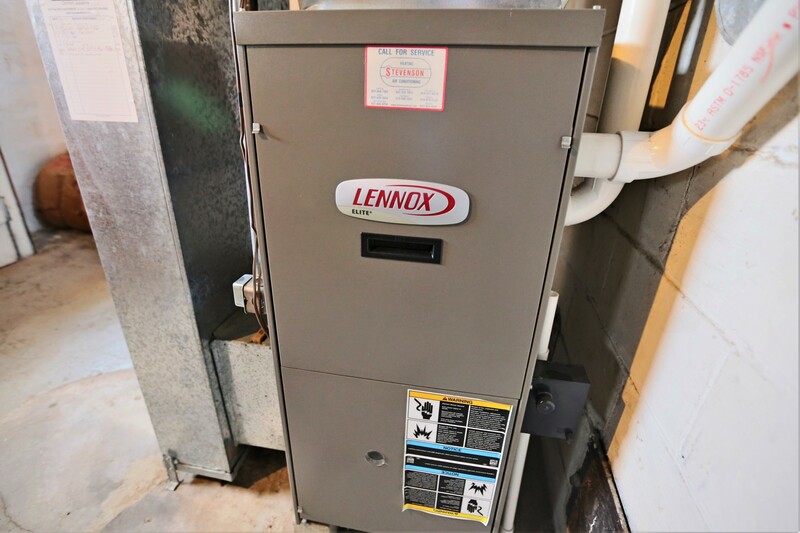 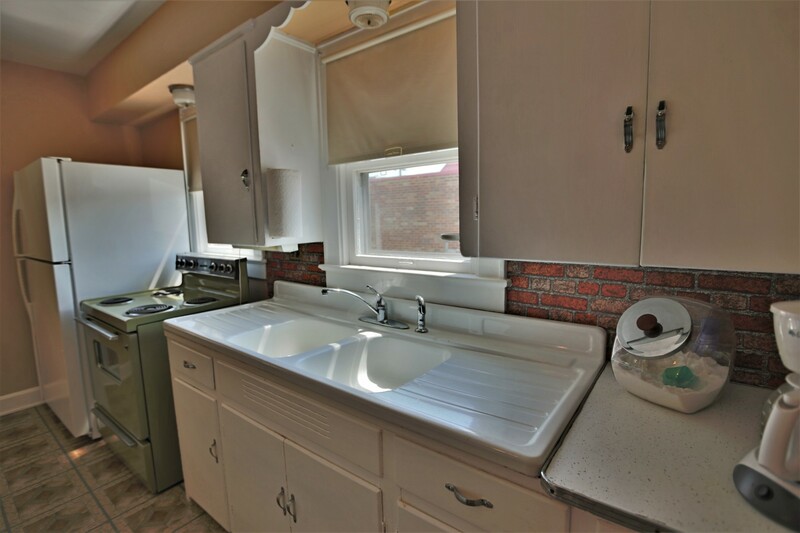 Additional Exceptional Features Include Storm Window, Brick Fireplace with Custom Mantel, Full Unfinished Basement, Furnace/Air updated (2013 approx. 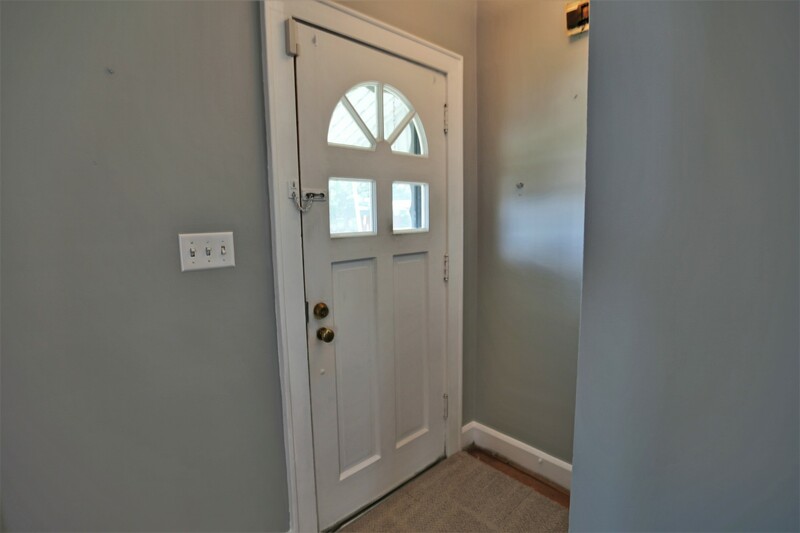 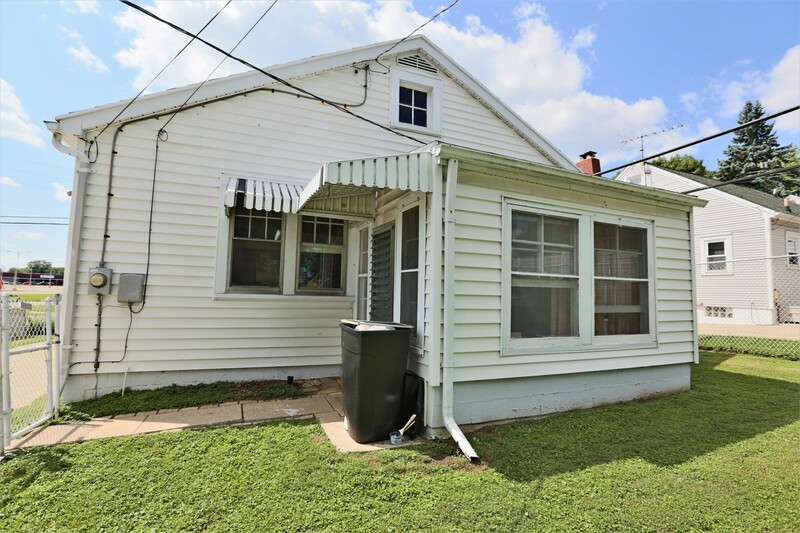 ), Roof Replaced, Tall Windows, Custom Cabinetry, Custom Crown Molding, Wood Panel Walls, Fenced-In Backyard, 1 Car Detached Garage & Screened-In Patio.